Enjoy the LOVE that is shared and you bring your light, as we invite you to listen to the Angel Tea Party Archives! Calling all angels! Each Angel Tea Party archive features a loving Channeled message from the Angels, who offer a message of love for us all! An Angel Tea Party is an uplifting & blessed event hosted by Yvette, where spiritual friends and family come together (with herbal tea in hand! ), to ask the angels for a channeled message of love and peace. Once the channeled angel message is complete, we open the floor up for questions and channeled answers from the loving angels and Archangels. All Angel Tea Parties are recorded for a convenient download you won’t want to miss! 4) Bring a question, learn who your angels are, or simply come and enjoy the high vibration of the angels and ‘Angel Light Exercises.” In some cases, the guidance you hear can also be “tailor made” to your own personal questions! ~and most of all, have fun while shifting into greater peace! These Angel Tea Parties are held once a month. You can listen to the archives from the convenience of your own home! Enjoy ! The third episode of Season 4 is here! The March Angel Tea Party brings us a channeled message of complete love with St. Gabriel the Archangel and brings blessings to all who wish to receive! Wisdom and bountiful blessings abound for all! Join us in the Angel Tea Podcasts, all available in 2018 by a donation of your choosing through the month of August 2018. The Season 4 Angel Tea Parties will be offered for a donation of any size! NORMALLY $10 for each recording. Thank you to all! The second episode of Season 4 is here! This February Podcast is now being offered by a donation of your choice! (Normally $10!). This month, we enjoyed a channeled message from St. Michael and the Cherubim. There was a very powerful healing exercise uplifting us all to the Lord’s Peace- the Christ Light that is within all of us! St. Michael also answered questions from listeners and there was much love and uplifting for all !! Listen to this Fun-Loving Angel Tea Party, channeled with St. Michael the Archangel and the Heavenly Host who are always here to help us in every way- uplift our hearts to God’s Love. Angels LOVE us and this channeled message is just for you ! The angels can always help you recognize signs of love from the angels. Listen anytime or as many times as you like! Join Yvette as she channels a very loving message with Archangel Chamuel. In this powerfully uplifting and healing message of love, we enjoy an Angel Exercise of Light to increase inner peace. Archangel Chamuel offers guidance to commonly asked questions and situations. Join Yvette as she channels a very loving message from the Cherubim, otherwise known as the “Romance angels!” The Cherubim are always happy to assist us in opening our hearts to God’s Love, assisting us with our own current relationships (of any kind- intimate or any other type of relationship) , or seeking the “one” ! Love is for everyone- for all people under God and is the greatest gift for all of us ! Enjoy! Join Yvette as she channels a powerfully loving message from St. Michael the Archangel, and offers insight from many Angels and Archangels for the upcoming year or anytime you wish to listen to this very high vibrational download! Enjoy! Join Yvette (and guests! ) in this live channeled hour of love! St. Gabriel and the Christmas Angels channel a message of love and peace for all of us during this very special time! Recorded LIVE in Albuquerque, NM Enjoy! Join Yvette (and guests!) for this very loving and special message with Archangel Chamuel, who is an over-seer of the Choir of Powers, helps us to find what we are seeking, and helps us to experience both inner and global peace! Enjoy ! St. Gabriel the Archangel Channels a message of love and peace for all who listen. This is packed with High Vibration, Love and healing energy! St. Gabriel works in tandem with St. Michael and St. Raphael as we celebrate the month of the Feast of the Archangels . Enjoy! This month features a loving channeling from St. Gabriel the Archangel, an uplifting angel exercise everyone can enjoy and more! 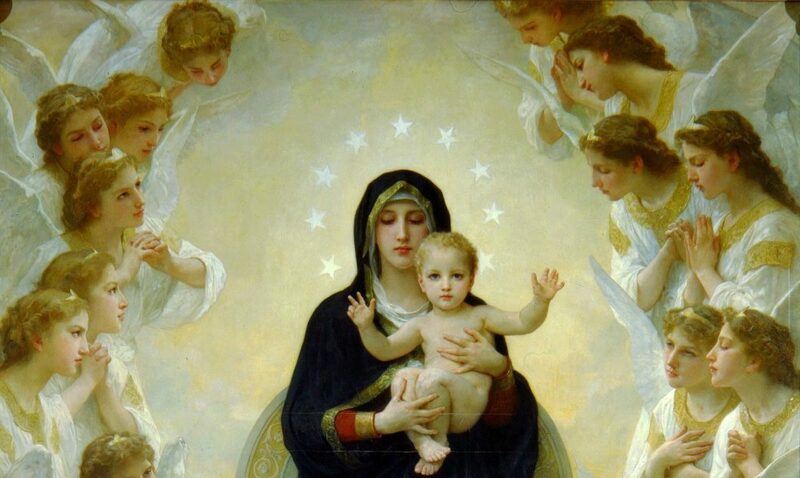 This month we honor the Heavenly Mother, and the angels also give us tips on how we can do so! Enjoy! This month’s Angel Tea Party features a loving channeled message from St. Gabriel the Archangel- who works in tandem with St. Michael and St. Raphael. These Archangels help to lift lower emotions and uplift all who listen by infusing their light within our own light bodies. Very uplifting and includes Q & A from “in person” Angel Party Attendees. Recorded in Albuquerque, NM! Here is the download for the June Angel Tea Party! Grab some herbal tea and join in! Join the St. Gabriel the Messenger Archangel as he delivers a very loving message- This download includes a loving ascension exercise with the Angels! They are with us always and offer their love for all ~uplifting our hearts to the Realm of the Angels! Here is the download from the May Angel Tea Party! Grab some herbal tea and join in! Join the Guardian Angels as we help you lift into greater peace! This month , there will be a loving message with the Guardian Angels! They are with us always and offer their love for all ~uplifting our hearts to the Realm of the Angels! Here is the download from the April Angel Tea Party! Grab some herbal tea and join in! Happy Easter ! Join the Angels as we rejoice in this new Easter Season. This month , there will be a loving message with Archangel Chamuel and St. Gabriel, welcoming everyone who visits and uplifting our hearts to the Realm of the Angels! Here is the archive download from the Angel Tea Party in February! This month , we will be asking the Angel Realm to help each one of us open our hearts to Higher Love for Valentines Day. With an “Angel exercise” to do so ! We will also ask for a loving message on soul mates , whether you are single or in a soul mate relationship, there will be a loving message for all who come! Grab some herbal tea and join in! This is very high vibrational and includes a loving channeled message with St. Michael- plus angel guidance to the questions presented- This is great for everyone! Here is the archive download from the Angel Tea Party in January with St. Michael! This month , we will be asking St Michael the Archangel questions about life purpose and ask for insight for 2016 (or for any New Year or New Season!) – how we can achieve our goals and gain insight into the coming year. Grab some herbal tea and join in! This is very high vibrational and includes a loving channeled message with St. Michael- plus angel guidance to the questions presented- This is great for everyone! Here is the archive download from the Angel Tea Party in December with the Christmas Angels! Grab some herbal tea and join in! This is very high vibrational and includes a loving channeled message with the Christmas Angels- plus angel guidance to the questions presented- This is great for everyone!